Designed by Piero Lissoni, Audrey is the latest release from Kartell to offer functional versatility with a contemporary aesthetic. Audrey demonstrates Kartellâ€™s latest technological developments through its masterful combination of materials; aluminium and woven plastic. Composed of only two structural parts, this wholly die cast chair, the first of its kind, is neatly finished without the use of screws or welding points further emphasizing its elegant and minimal silhouette. 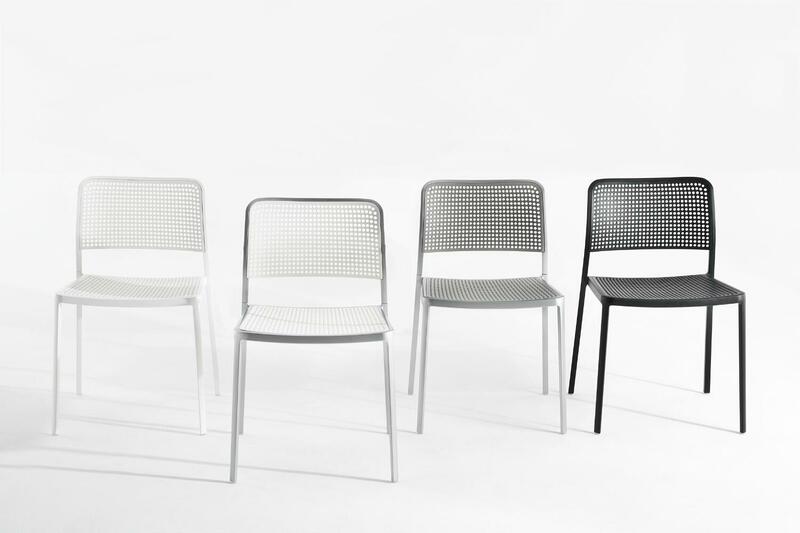 Suitable for both indoor and outdoor applications, the Audrey chair is available with or without arms in a variety of exciting seat colours and complementary frame finishes. The Audrey collection is tested and certified for both commercial and domestic use, offering a unique solution for all home, office, break out and hospitality applications.